The following information is found in and translated from the book Heimat der Büchsenmacher by Mr. Hans-Jürgen Fritze. It is used here with the kind permission of the owners of the copyright-DWJ Verlags-GmbH. All others who use this information hereafter must apply for permission from them. Click Here to go to their web site. The book Heimat der Büchsenmacher is in German and I have translated and edited it in my own words for easier reading. The Jung family has been involved in weapons manufacturing of one kind or another for nearly 600 years. The family originated in Solingen and probably was involved in the blade making or forging trade there. In 1550 the Jung’s first appear in Suhl and Valentin Jung who it is assumed was born in the early 16th Century and died in Suhl in 1583. His wife Catharina died on Dec. 21, 1605. Another Valentin Jung (the 2nd?) was born in Suhl in 1539 and is assumed to be the son of Valentin and Catharina. In 1562 he married Anna Valentini, she passed away on Aug. 15, 1608 and Valentin on July 23, 1619. 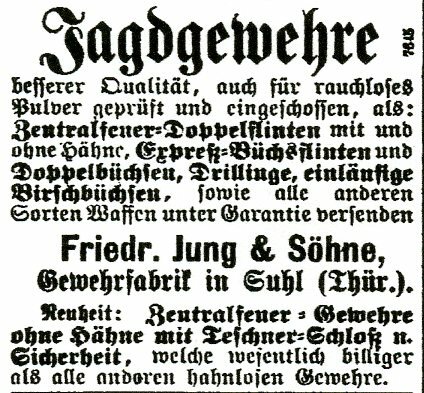 In the 1590’s several gunsmith’s by the name of Jung moved from Suhl to other cities to ply their trade. Cuntz or Kunz Jung left Suhl around 1591 and moved to Nuremberg. Around 1596 Niclaus Jung moved from Suhl to Strassbourg . It is said that they knew each other and may have been related. 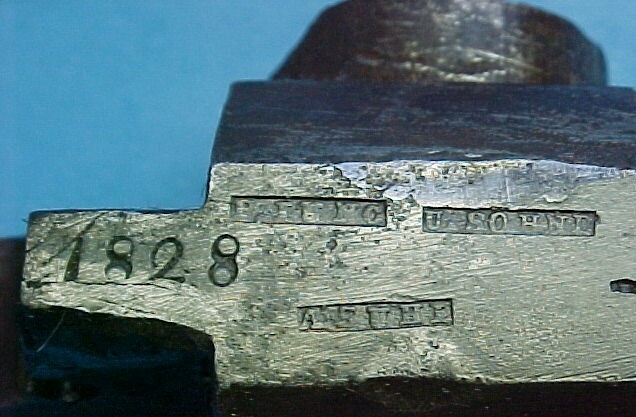 Around 1606 nine gunsmith’s by the name of Jung were recorded in Suhl. They are Valentin Jung (the 3rd), Antig Jung, Barthell Jung, Endreß Jung, Georg Jung, Klauß (Claus) Jung, Merton Jung, Valentin(Valthen) Jung and Veith Jung. In 1638 we find that Nikolaus Jung had a contrct to deliver 3000 muskets and other weapons to the Imerial Army. A document from 1658 lists the following as masters of the Locksmith’s trade- Casper Jung, Christoph Jung, Hans Jung on the Bruken, Leonhardt Jung, Michael Jung, Niclaus Jung (the elder) and Niclaus Jung (the younger). In 1674, Hans Casper Jung who was perhaps the son of Casper Jung began an apprenticeship in Vienna, Austria. On August 19, 1640 Valentin Jung (the 4th) married Anna Georgi Schulthessen. 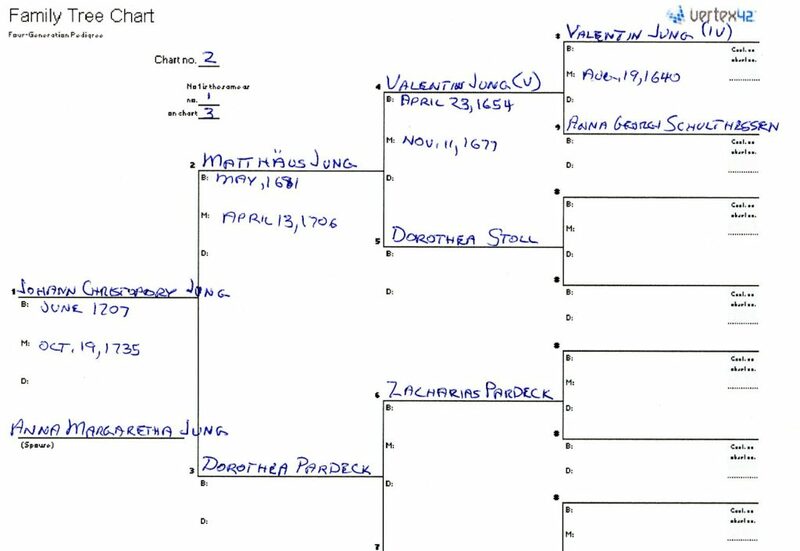 Valentin Jung (the 5th) was born on April 23, 1654 and on Nov. 11, 1677 he married Dorothea Stoll. Valentin and Dorothea had a son Matthäus who was baptised on May 7, 1681. 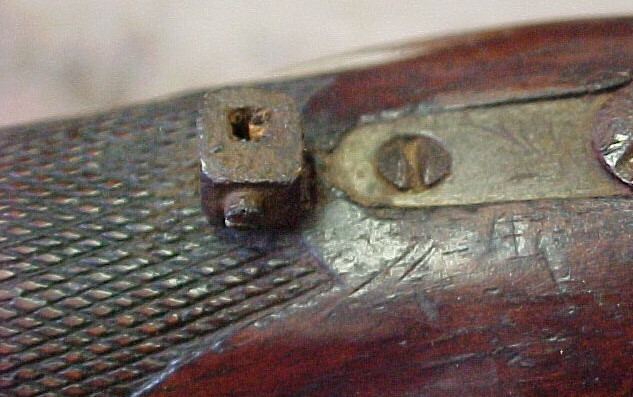 He learned the trade of Gunsmith and on April 13, 1706 he married Dorothea Pardeck, the daughter of Zacharias Pardeck who was referred to as the “Coriar of Steinweg”. On June 26, 1707 their son Johann Christophory Jung was baptised. On Oct. 19, 1735 Johann Christophory married Anna Margaretha Jung who was the daughter of Johann Casper Jung. 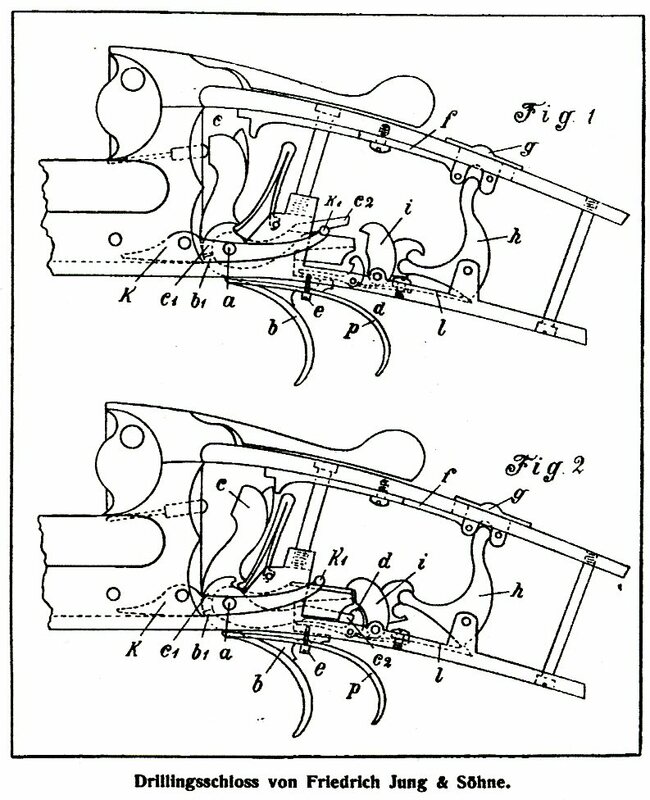 Both Johann Casper and Matthäus Jung were recorded as being Rifle and fittings manufacturers. Johann Christophory and Anna Margaretha had a son, Johann Casper Jung who was baptised on Nov. 14, 1746. On that baptismal record Johann Ch. was recorded as a “Waffenschmied”. Johann Casper became a master weaponsmith and married Johanna Dorothea Schilling. Johann Casper and Johanna Dorothea had three sons. One was Johann Georg who was born on June 20, 1797. On his Birth Certificate Johann Casper’s occupation was given as “Arms Manufacturer”. Johann Casper passed away on March 29, 1827 of “Body inflammation”. 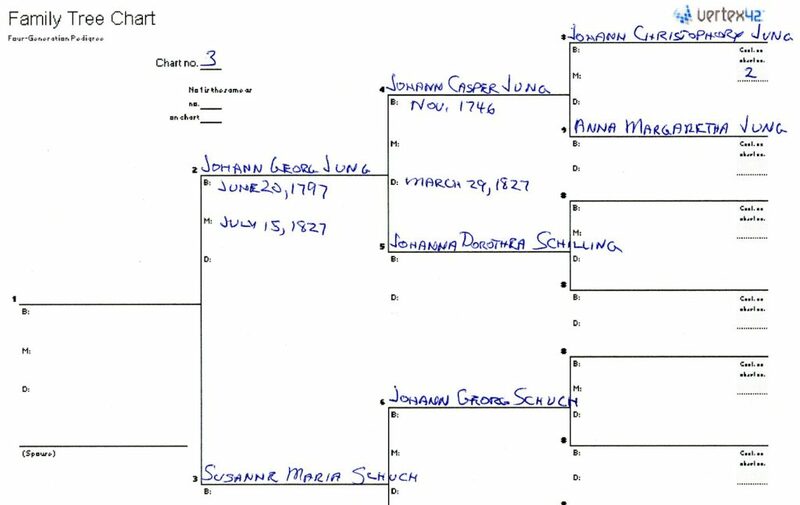 On July 15, 1827 Johann Georg married Susanne Marie Schuch. At that time Johann Georg was recorded as being an “Arms Manufacturer”. 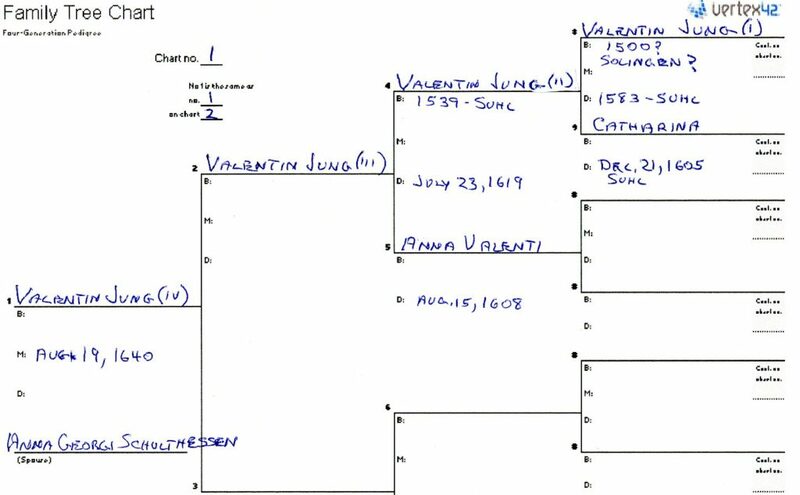 To simplify some of this information a chart showing the ancestry of the Valentin Jung family follows. 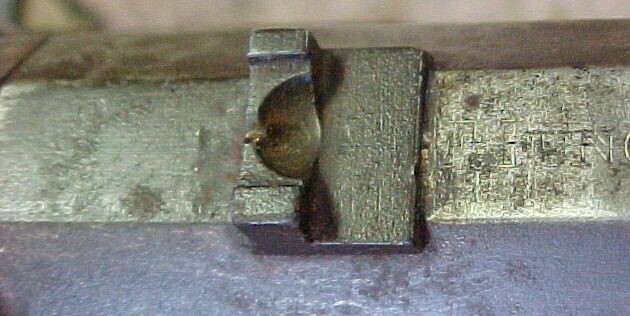 Around the year 1703 a migration of gunsmith’s from Suhl to Olbernhau occurred which included Hans Jung, Johann Ciriacus Jung, Johann Friedrich Jung, Tobias Jung and Volckmar Jung. 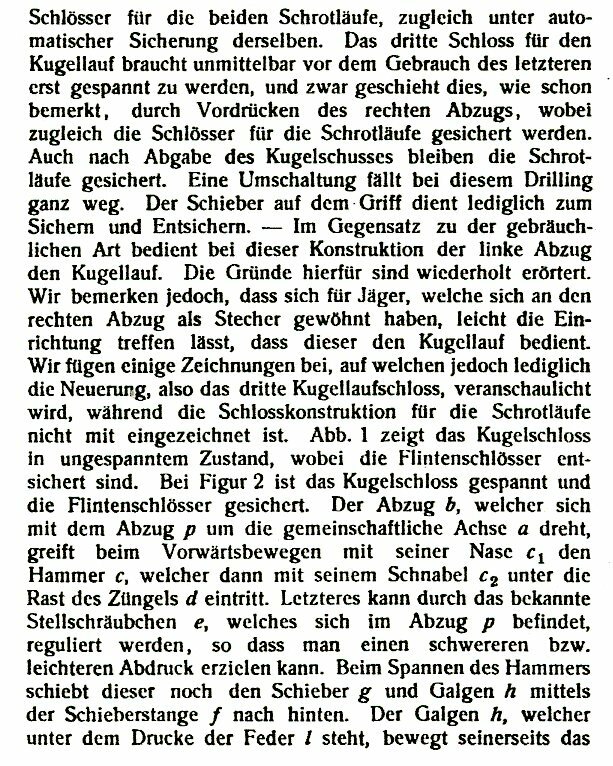 The book Die Wiener Büchsenmacher ünd Büchsenschafter by Hans Schedelmann (1944) lists the following Viennese gunmakers and the dates when they first appeared in Vienna records- Andreas Jung- 1840, Christian Jung- 1693, Georg Jung from Suhl- 1661, Hans Kaspar Jung- 1674, Johann Jung- 1748, Klemens Jung from Suhl- 1710, Martin Jung from Warsaw- 1817. 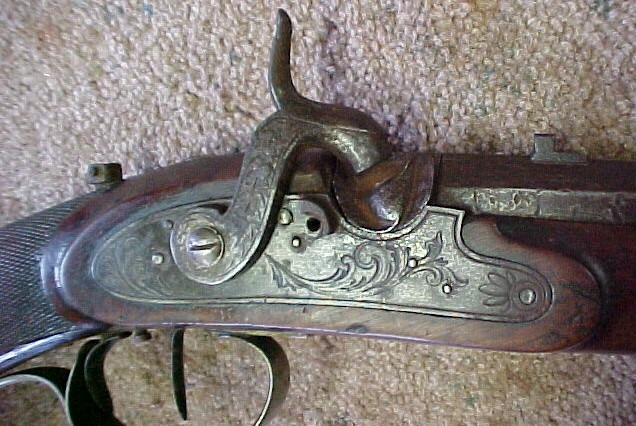 A gunmaker J. H. Jung is also found working in Suhl around 1738 to 1750. He signed his work J. H. Jung- Sülli. In 1753 the City of Suhl suffered a catastrophic fire which destroyed much of the business district. The independent Master Gunmakers of the Jung family that lost their shops in the fire were Caspar Jung, Christoph Jung, Ephraim Jung, Georg Jung, Johann Stefen Jung (I), Johann Stephen Jung (II), Martin Jung, Paul Jung, Siegmund Jung, Valtein Jung, Veit Jung and Werner Jung. Christian Friedrich Jung who was born on April 10, 1842 is the progenitor I believe, of the present Jung’s in Stuttgart and Bad Kreuznach. His father was a mill owner in Suhl. 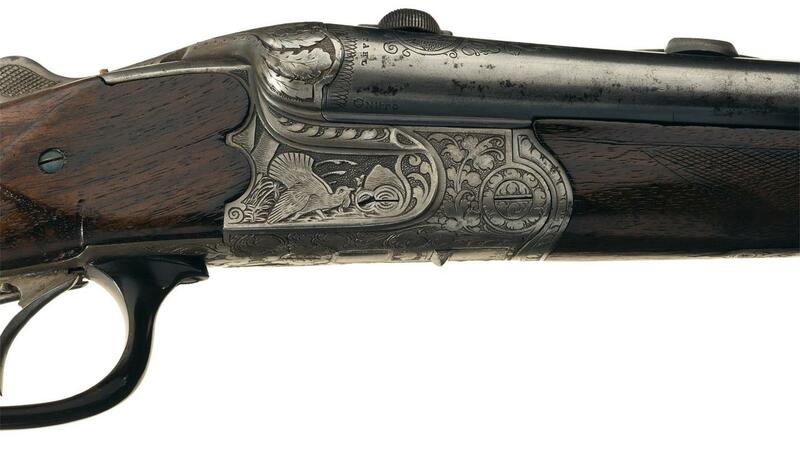 On June 20, 1869 Christian married Auguste Henriette Friedericke Triebel who’s father was the master gunsmith Johann Georg Triebel and who’s mother was an Eckardt. Christian died on May 29, 1896 of a Cerebral Stroke at the age of 54 leaving a wife and four children. One of these children was Paul Juliyus Gebhard Jung who was born on Sept. 27, 1875. On May 16, 1903 he married Marie Ida Fahner who was born on May 21, 1880. She was the daughter of the master gunmaker Friedrich August Fahner and Luise Emilie, nee Keller. Around 1900 Paul and Marie left Suhl and moved to Pforzheim and Stuttgart where Paul started the company “Waffen Jung” which is still in business. They had five children, Kurt Hans Paul Jung- born March 5,, 1904, Lucie Marianne Jung- born June 20, 1905, Nanny Elfriede Jung-Born Sept. 2, 1906, Rolf Eberhard Jung- born March 19, 1908 and Ericka Liselotte Jung- born July 17, 1913. The father Paul Julius passed away Dec, 31, 1963 at the age of 88 and Marie Ida passed away on Feb. 14, 1981 at the age of 100. Rolf Eberhardt died during combat in World War II and I belive “Waffen Jung” was carried on by Kurt Hans Paul Jung and his descendents. According to web sites on the internet there are presently two firms Waffen Jung operating in Germany. The first is Waffen Jung GmbH which is operated by Theo Jung in Lohmar. Click here to go to thier web site. The second is Waffen Jung which is operated by Rainer Jung in Bad Kreuznach. His web site presently could not be found. A document from 1809 lists Garnitur (gun trimmings) Master makers Casper Jung Jun., Friedrich Jung Jun., Paul Jung and Veit Jung. 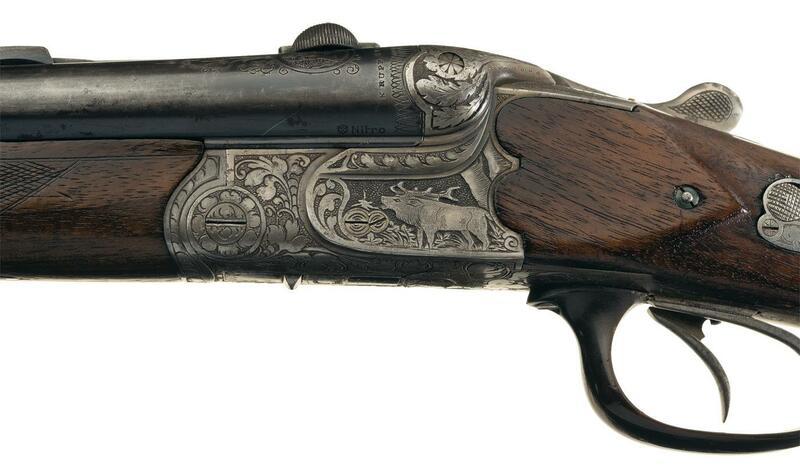 Master Gun Makers were Johann Melchoir Jung and Nicolaus Jung Sen.. 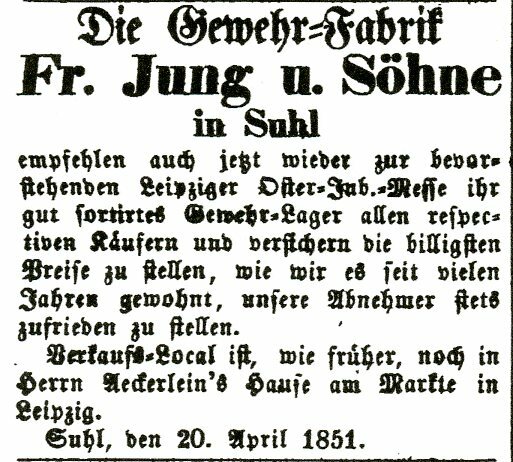 In 1832 Samuel Jung is listed as a Waffenfabrik owner with an address of Oberen Straße 184. W. Darrin Weaver’s An Encyclopedia of German Tradenames and Trademarks states that August Jung of Viernau near Suhl was a manufacturer of Drillings and sporting weapons. The following 16 ga. and 8 x 57R drilling with 27 inch barrels made by him in May 1927 was sold by the (and is courtesy of) Rock Island Auction Co. on Dec. 8, 2013. The Friedrich Jung Firm in Suhl was founded in 1832 and in 1840 became Friedrich Jung & Söhne. By 1859 the firm was run by Johann Jung and in 1864 by Oskar Jung. The firm was located at Rimbachstraße 50/51 and was in business until 1937. 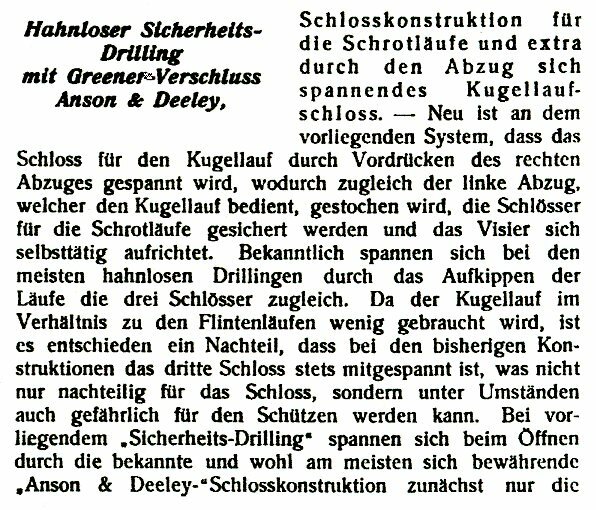 The May 1, 1908 issue of Schuss und Waffe contained the following article about the Drilling lockwork used by Friedrich Jung & Söhne. Following is a series of photo’s of a .58 caliber Fr. 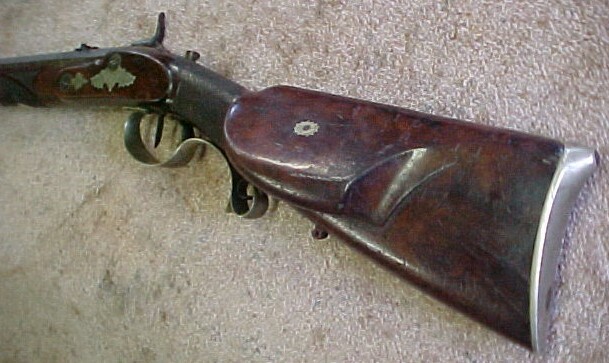 Jung & Söhne half stock rifle no. 1828. Sadly they were taken with one of the early digital cameras which left a lot to be desired.